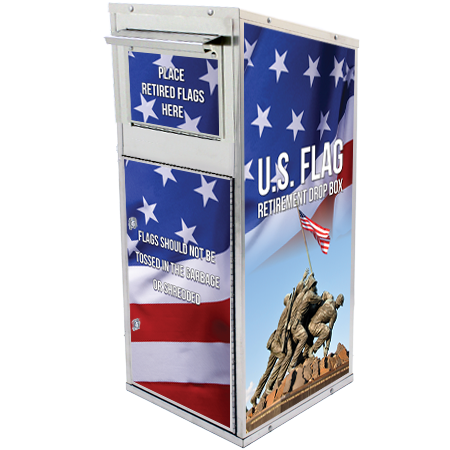 American Security Cabinets has partnered with the Department of Minnesota – Veterans of Foreign Wars to create stainless steel, 100% made in the USA, Flag Retirement Drop boxes to allow the community to properly dispose of worn, torn and faded American Flags in a respectful manner. 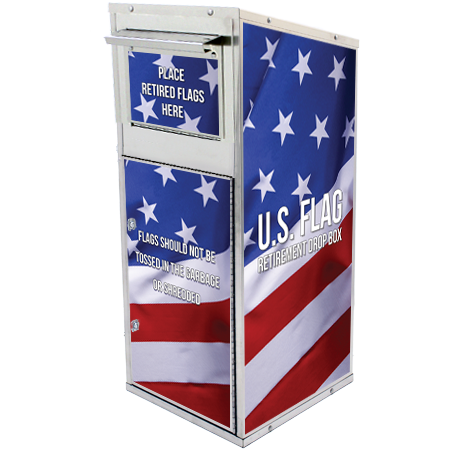 Shredding or throwing an American Flag away is disrespectful not only to the community, but to our veterans and those currently serving. 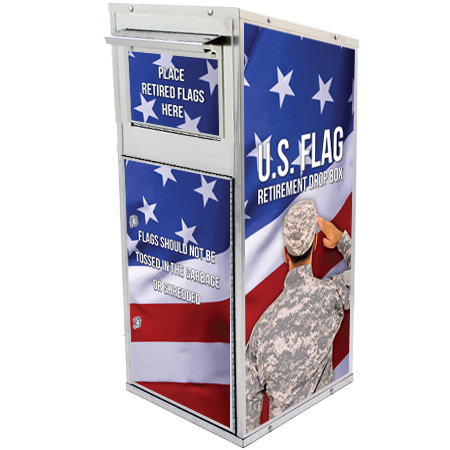 Once Flag Drop boxes become full, the flags can be properly disposed of in respectful retirement ceremonies, most often put on by local VFW’s, American Legions, Boy Scout Troops and organizations as such. 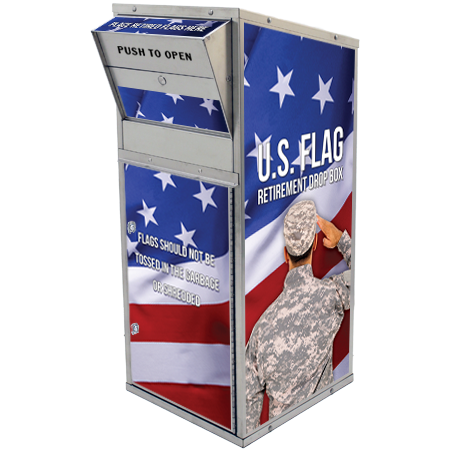 Choose from Interior and Exterior Flag Drop Boxes, along with decal design options for your unit. 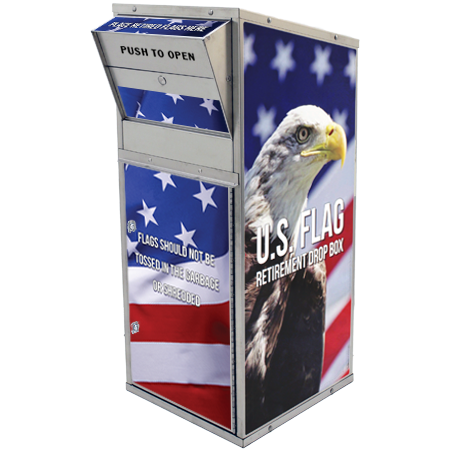 Call 1-866-268-4955 with additional questions or to place your order. 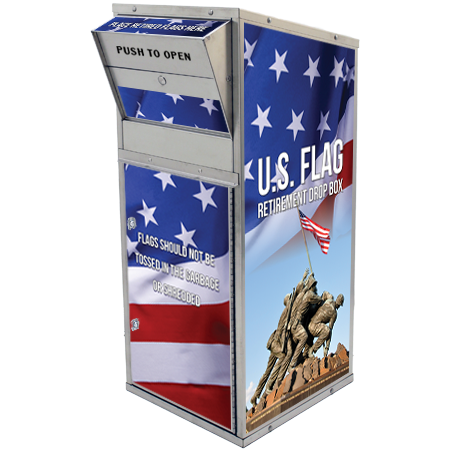 Mention Promo Code: VFWMN to receive 5% off your order! Choose one of the 5 options below. 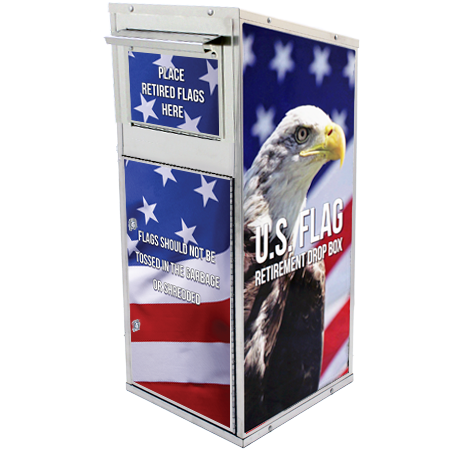 (2) Sides: “U.S. 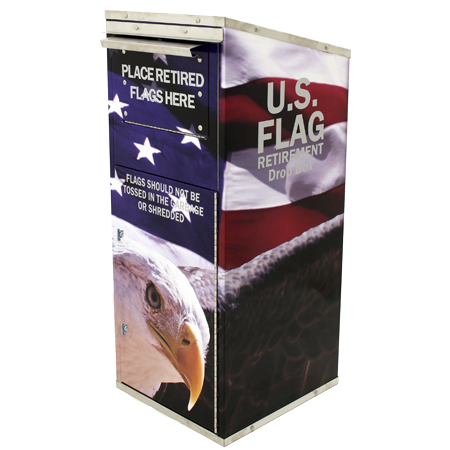 FLAG RETIREMENT DROP BOX” decals with a different patriotic design for each option. Choose one of the 4 options below. (1) patriotic decal on the under-side of the one-hand chute.